Support Timmy and Kate Go To Visit on Kickstarter! Allison Publishing produces print and ebooks for multi-award-winning author Christiane Joy Allison. Christiane’s first children’s picture book, Why Can’t Uncle Come Home? : A story for children struggling with the wrongful conviction of a loved one., received 5 honorable mentions in the 2018 Purple Dragonfly children’s book awards in the categories: Best Cover Design, Best Illustration, Family Matters, Picture Books 5 & Younger, and Picture Books 6 & Older. She was honored to be selected as a Rasmuson Foundation 2018 Individual Artist Project Award recipient for the publication of the sequel, Timmy and Kate Go To Visit, which helps children with the process of visiting a loved one in prison. She was also honored to be selected for the Alaska Writer’s Guild’s 2018 Lin Halterman Memorial Grant. 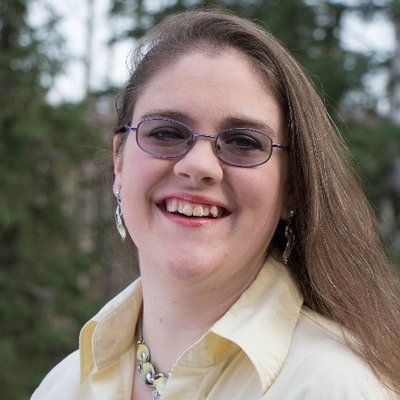 Christiane is a proud member of the Alaska Writer's Guild and the Alaska Chapter of the Society for Children's Book Writers and Illustrators. Check out her Amazon author page and support her work through Patreon and Wattpad! You can also find her on Facebook @ChristianeJoyAllison, Twitter @cjallison7, Instagram @ChristianeJoyAllison, and LinkedIn. Author Christiane Joy Allison (Left) and Illustrator Liz Shine (Right) at the Rasmuson Foundation 2018 Individual Artist Awards announcement dinner on May 11, 2018. Photo Copyright © 2018 GA Panorams. Christiane's first children's picture book, Why Can't Uncle Come Home?, is the first book in the Where is Uncle? series. It recently received 5 Honorable Mentions in the 2018 Purple Dragonfly book awards. The second book in this series, Timmy and Kate Go To Visit, is planned for release in 2019. Christiane is also working on her first Dystopian Sci-Fi novel, Infinitus, which is planned for release in early 2019, and a short story prequel, The Global Fellowship, is available to read for FREE through Wattpad.